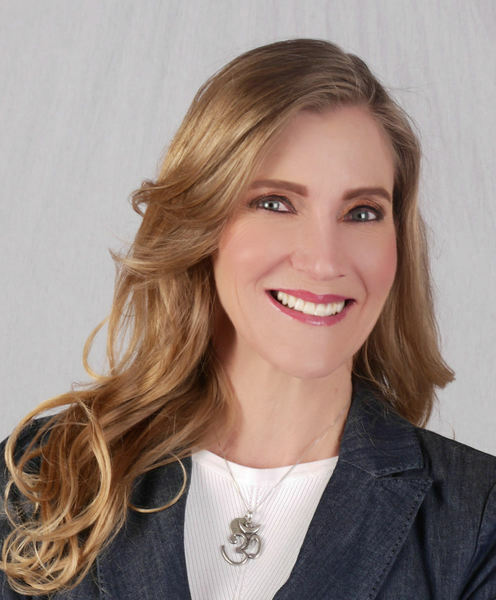 Sellers are motivated to sell!! 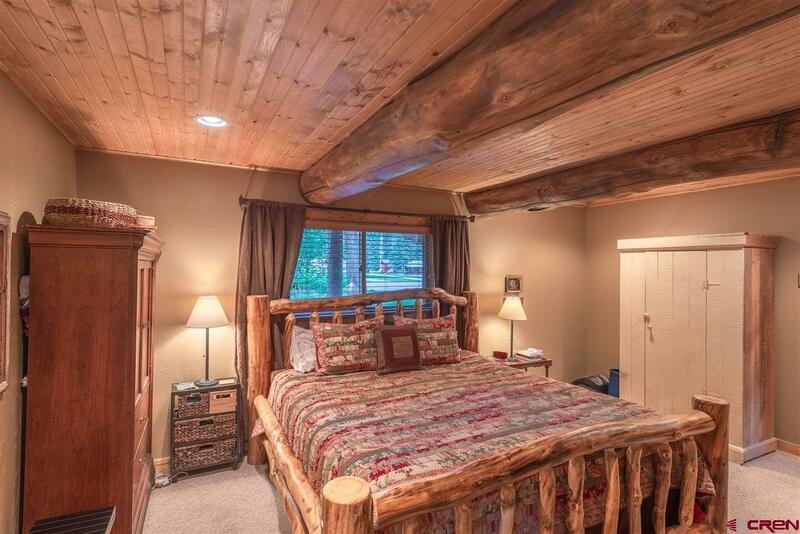 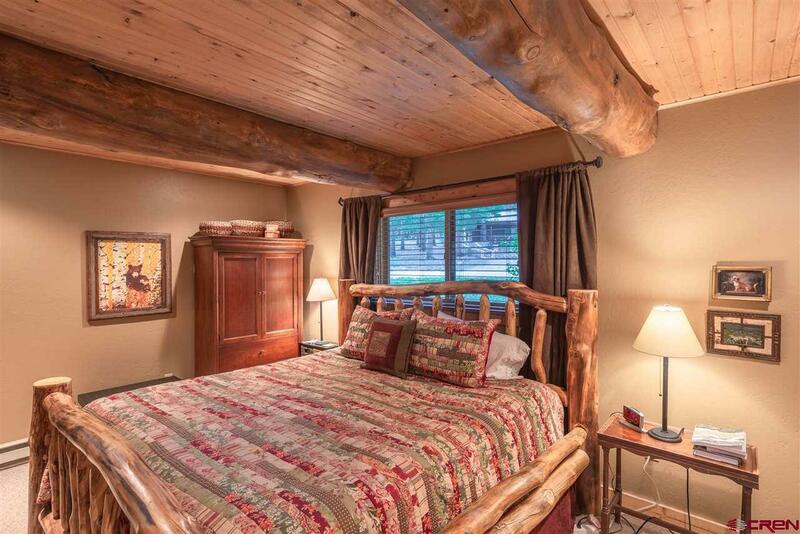 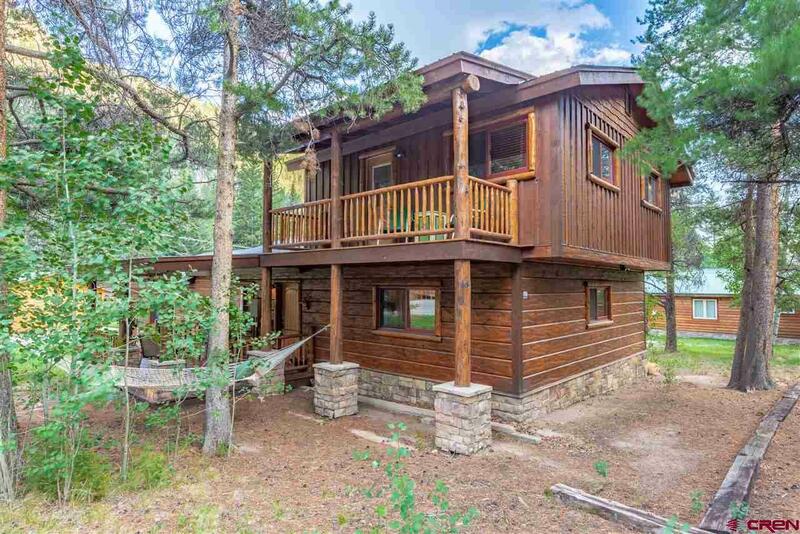 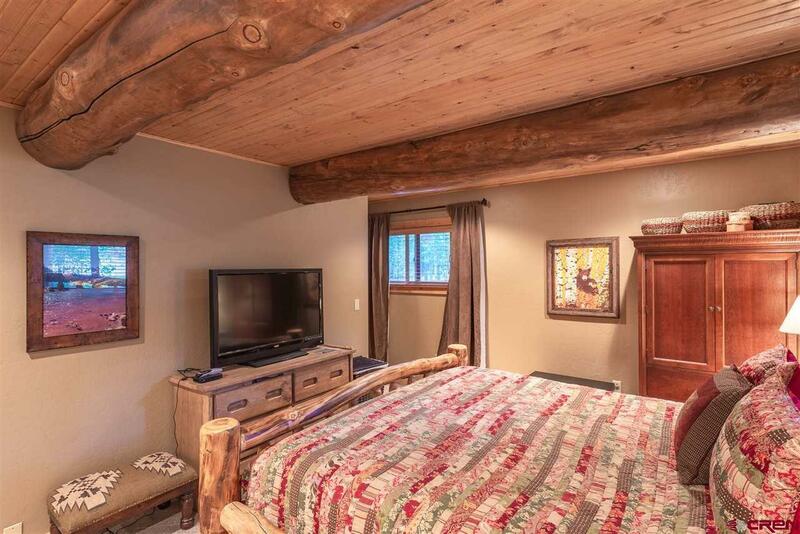 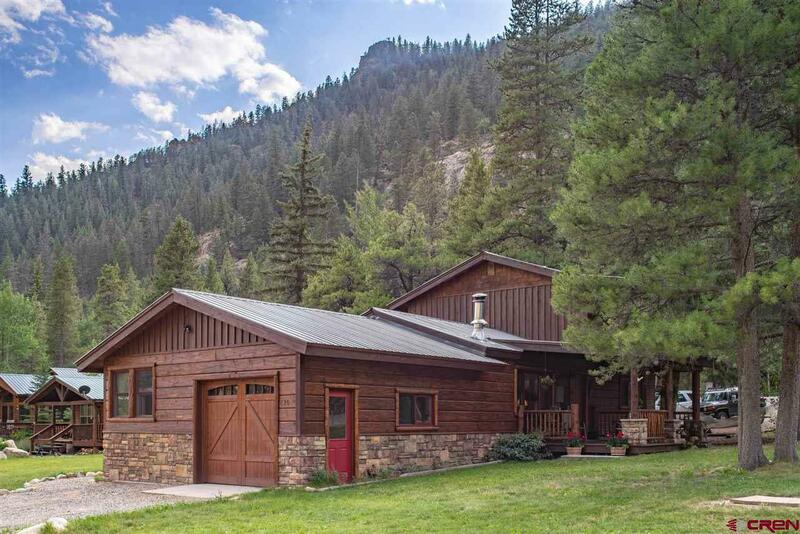 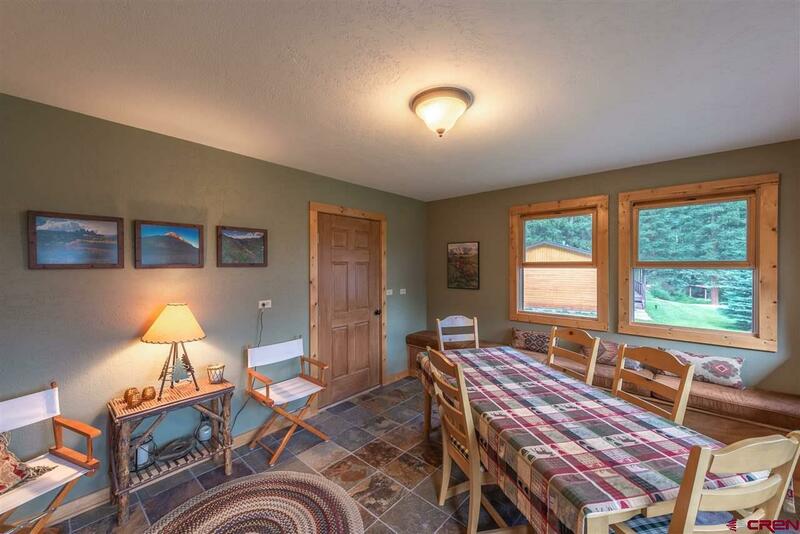 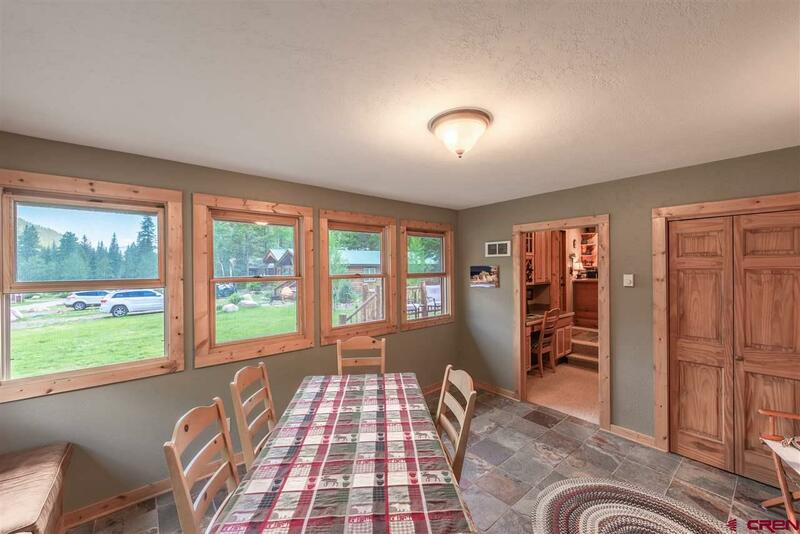 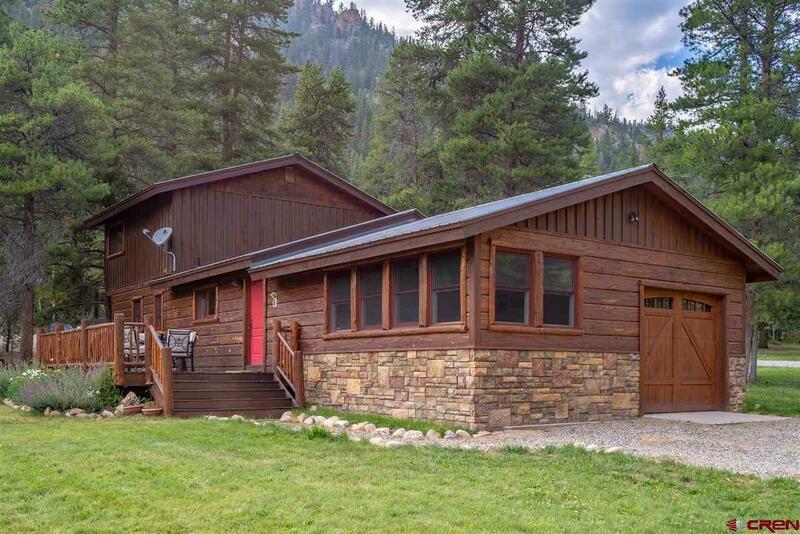 Take a look at this incredible furnished three bedroom, three and a half bathroom cabin located in the gorgeous Spring Creek Canyon. This wonderful home offers a spacious 1, 696 square feet with a one car garage, two large decks and a private covered balcony. 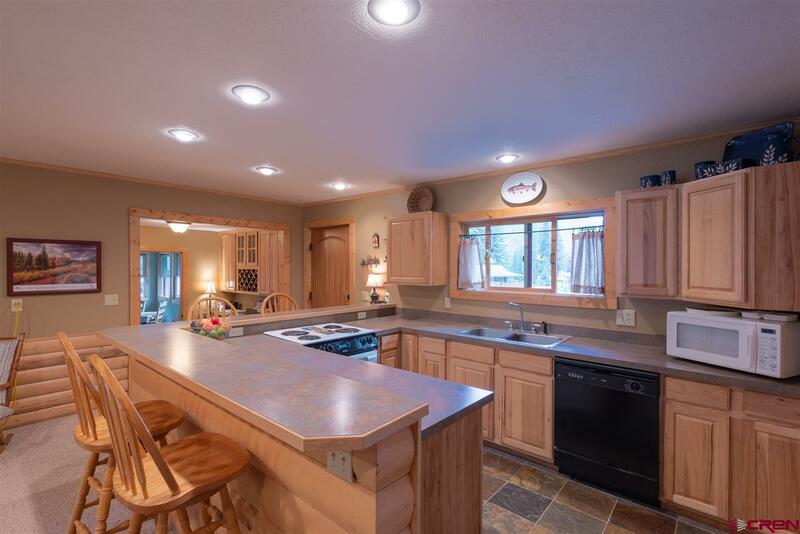 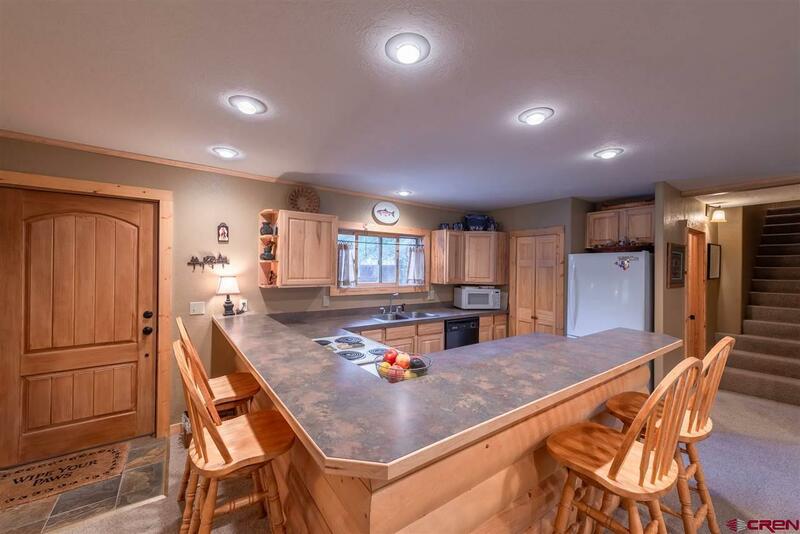 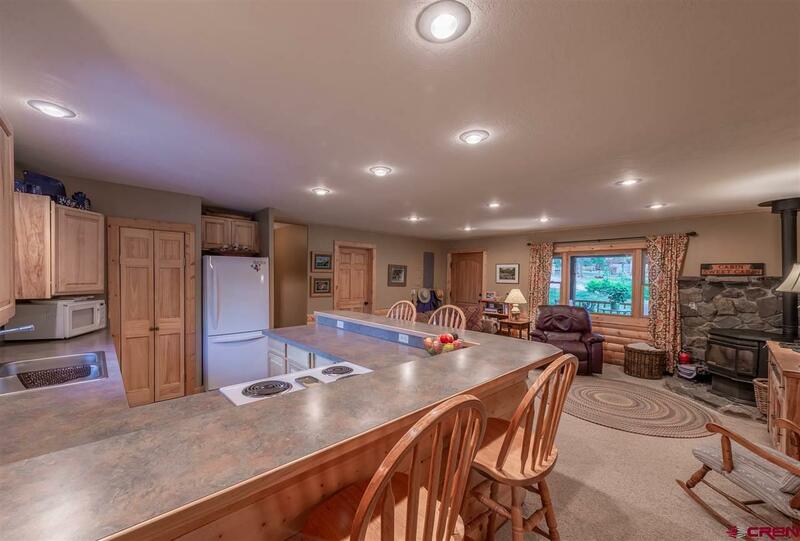 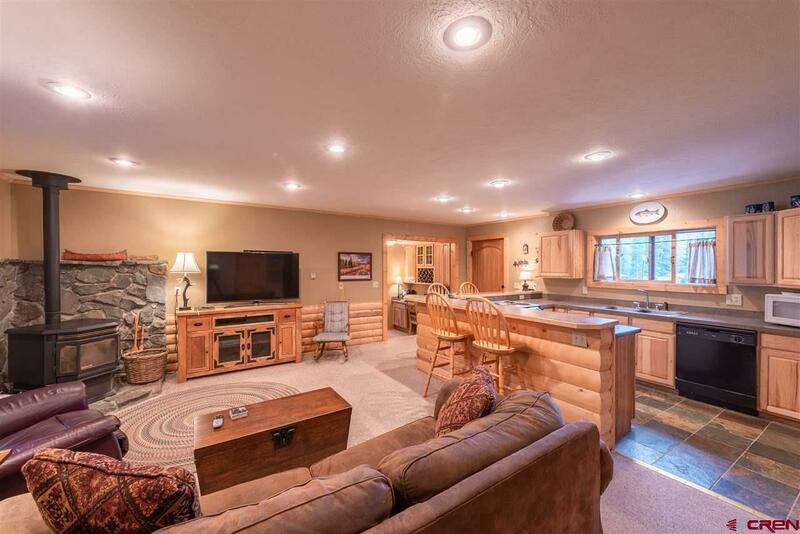 Stepping into this home you notice the open living floor plan with a large living room centered around a super efficient pellet stove and the kitchen with a large bar/peninsula for extra seating. 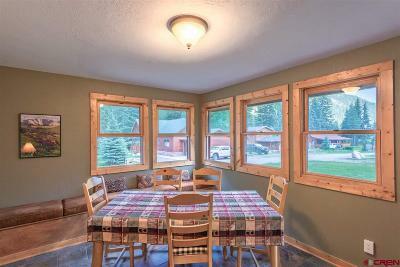 The private dining room, just off the kitchen has a ton of windows allowing for amazing natural light for all of your meals and parties. 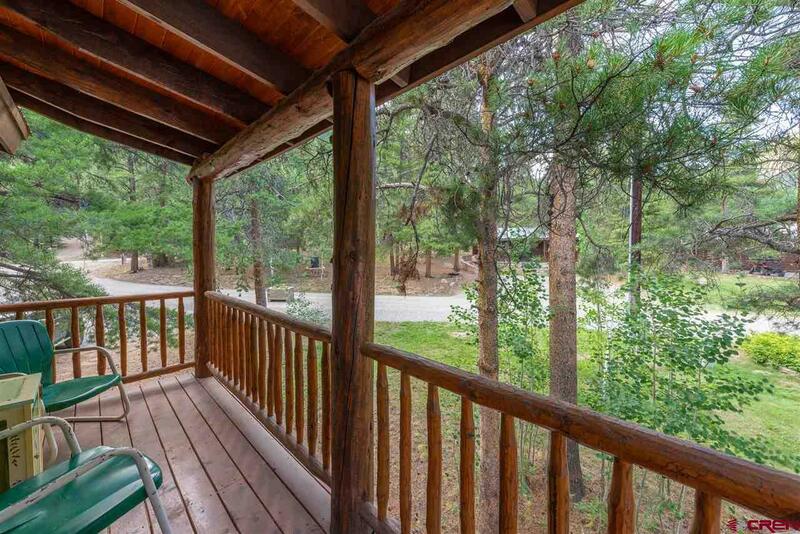 On the south side of the home is a large deck, perfect for entertaining. 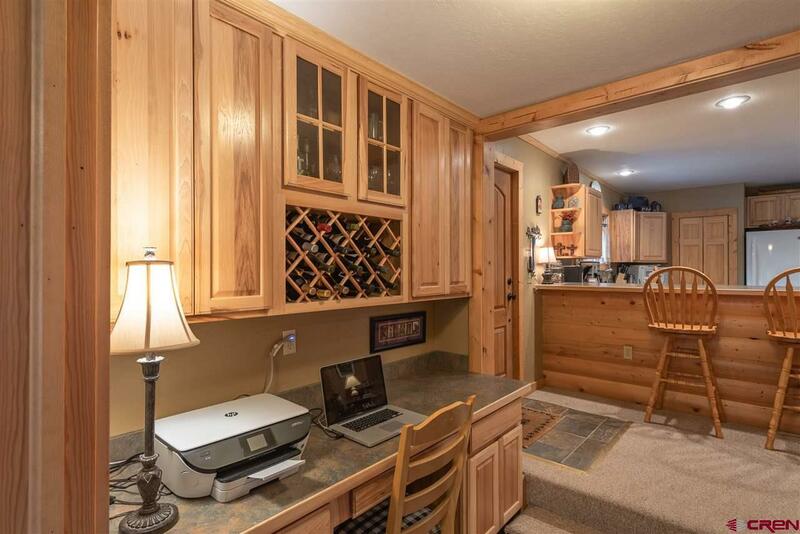 If you must work while you are at home, take a seat at the built in desk with lots of room to spread out and store all of your important files. 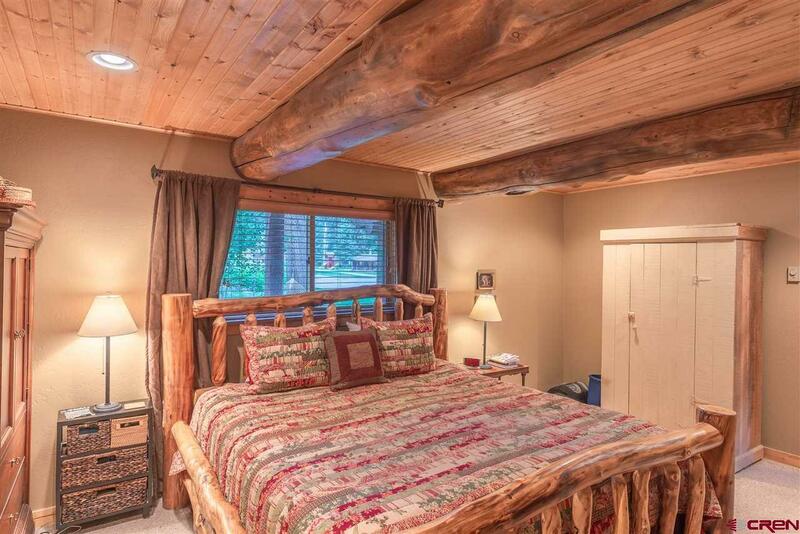 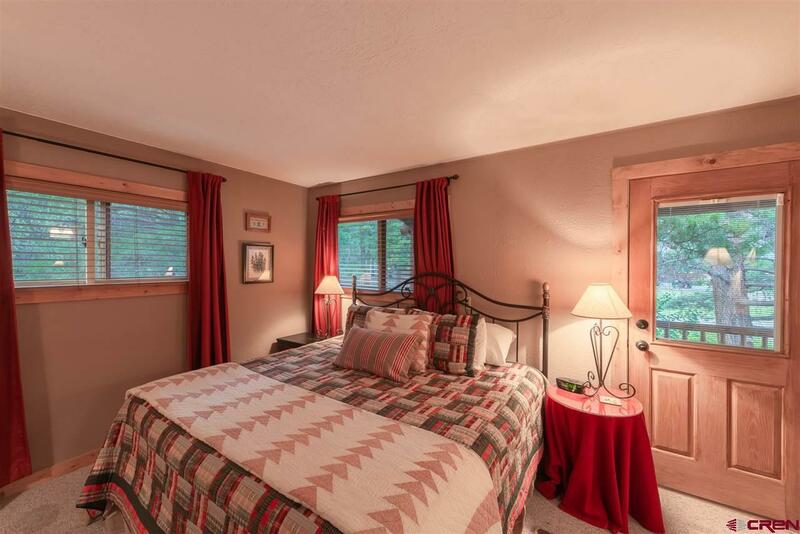 The master bedroom is located on the main floor and has an en-suite bathroom with walk-in shower and a large closet. 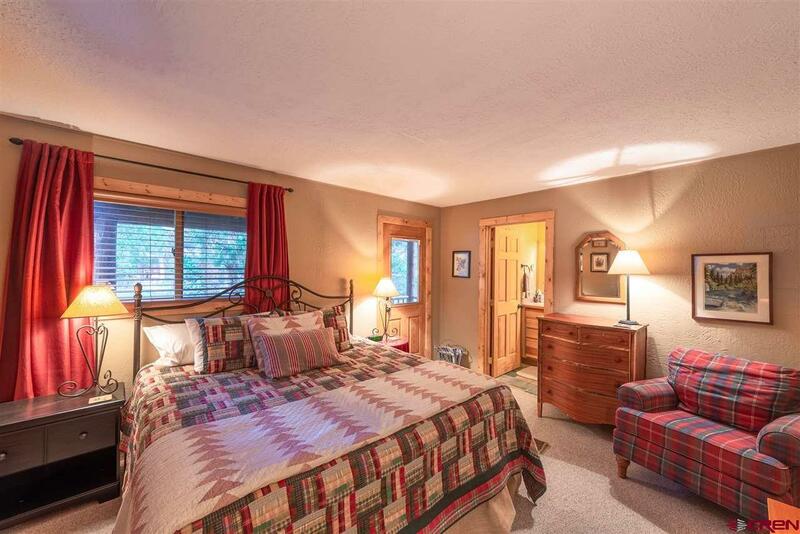 Upstairs, you will find two more bedrooms with en-suite bathrooms. 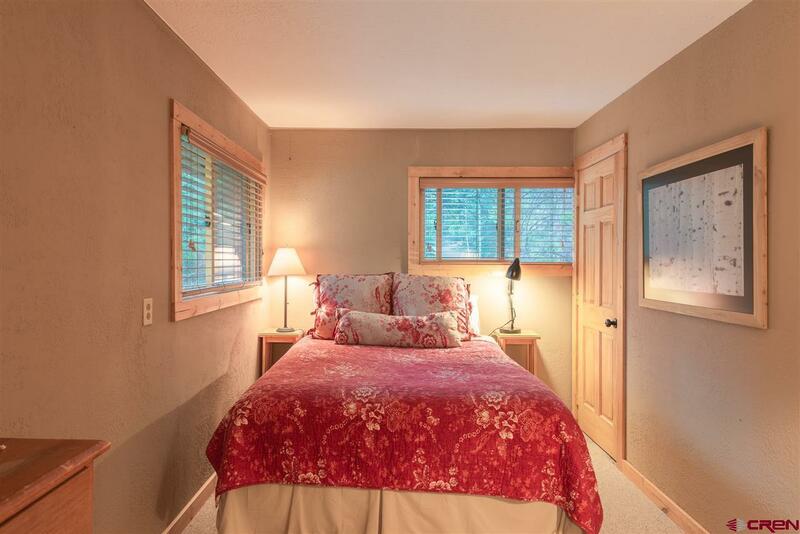 The larger bedroom offers a private balcony, perfect for spending the afternoon reading a good book. 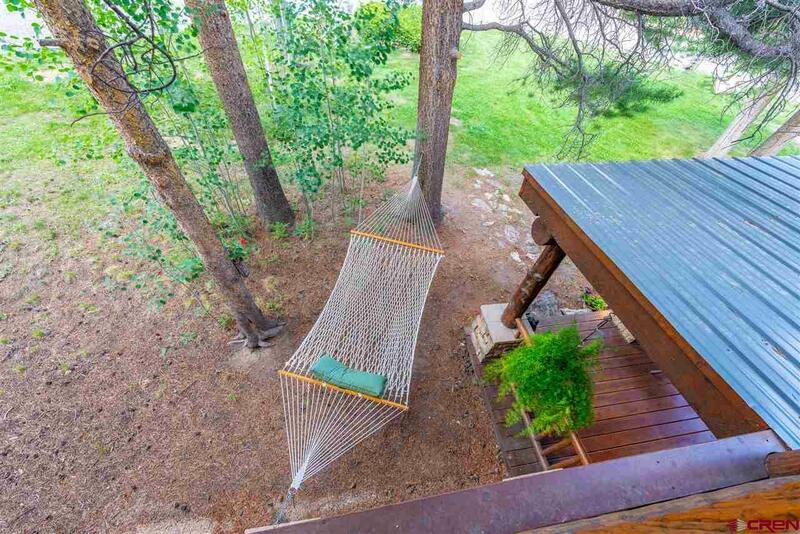 The covered porch is a wonderful place to sit and escape the heat while still feeling like you are a part of nature. 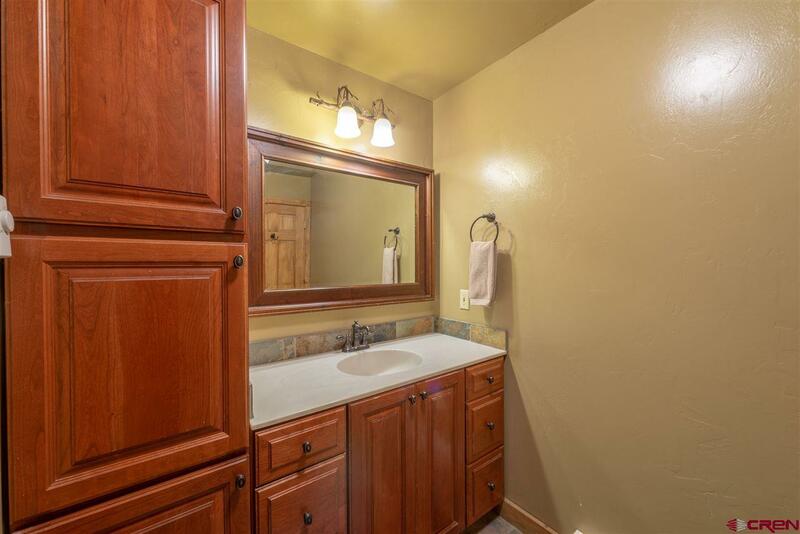 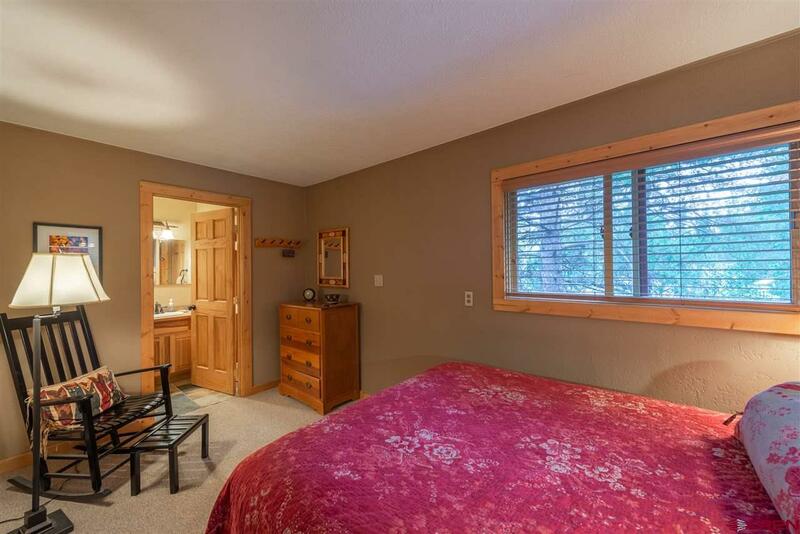 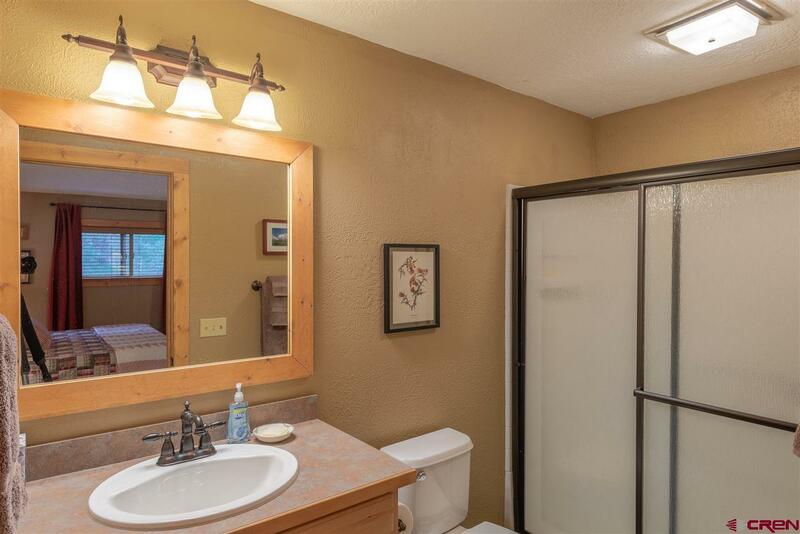 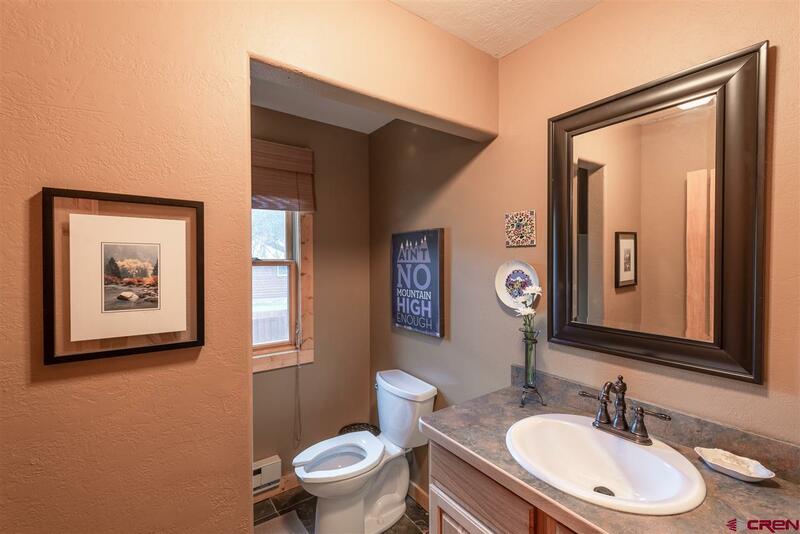 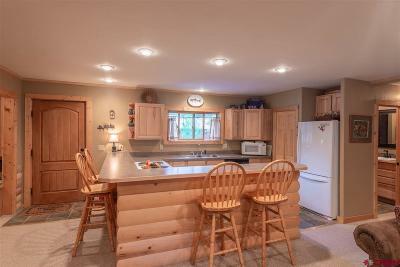 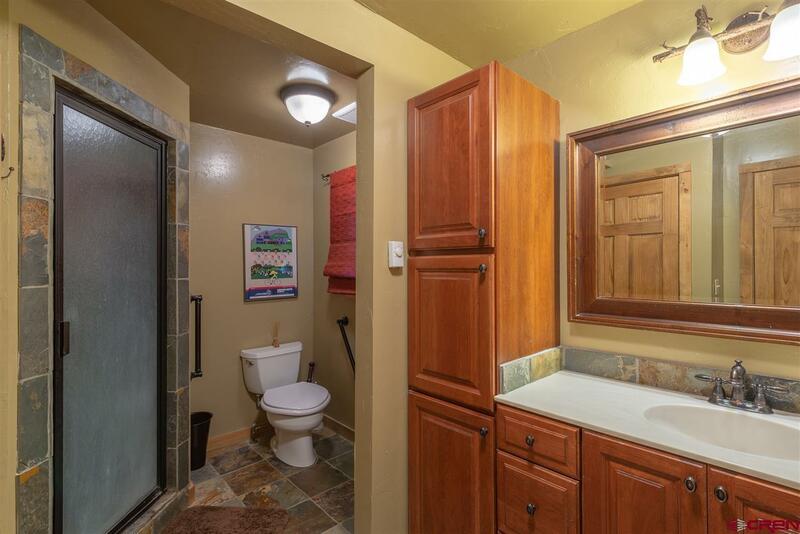 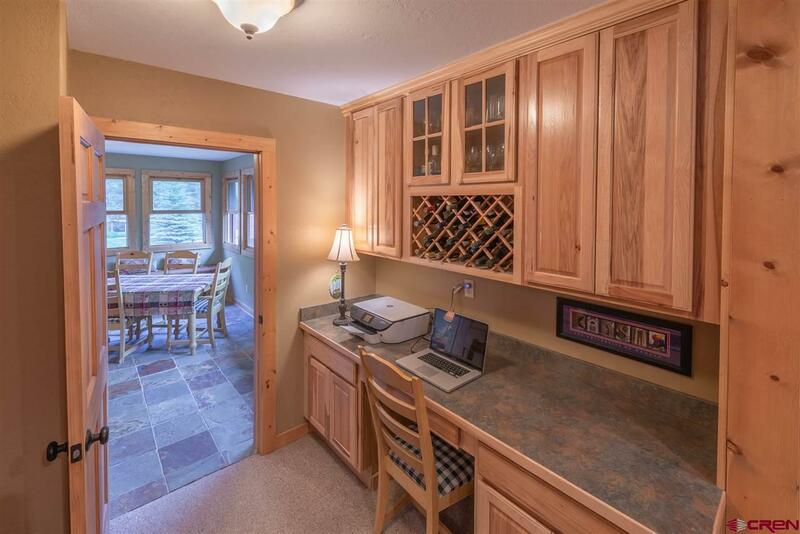 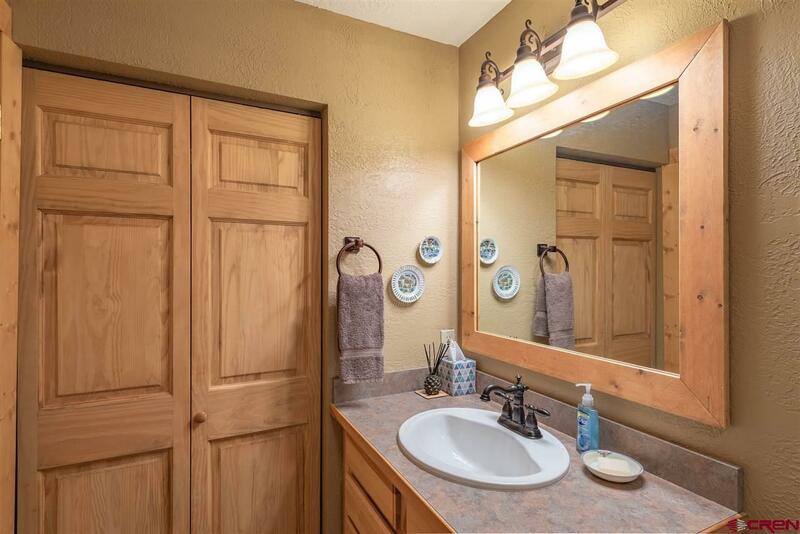 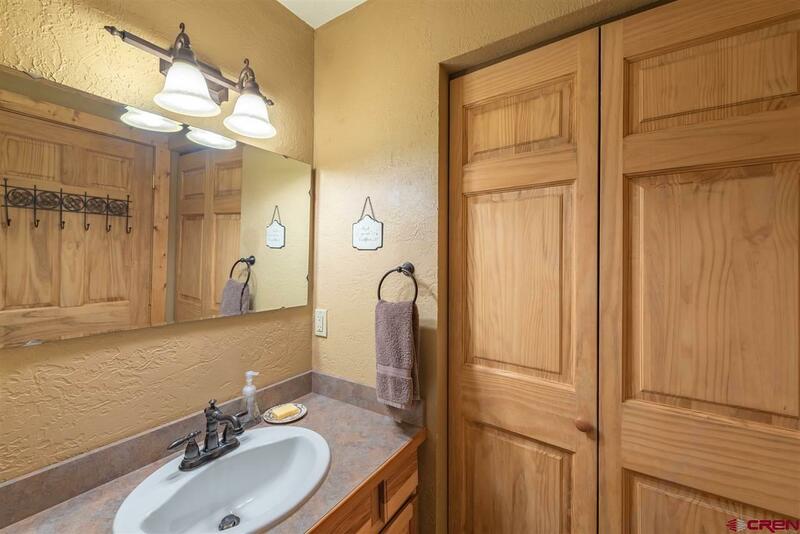 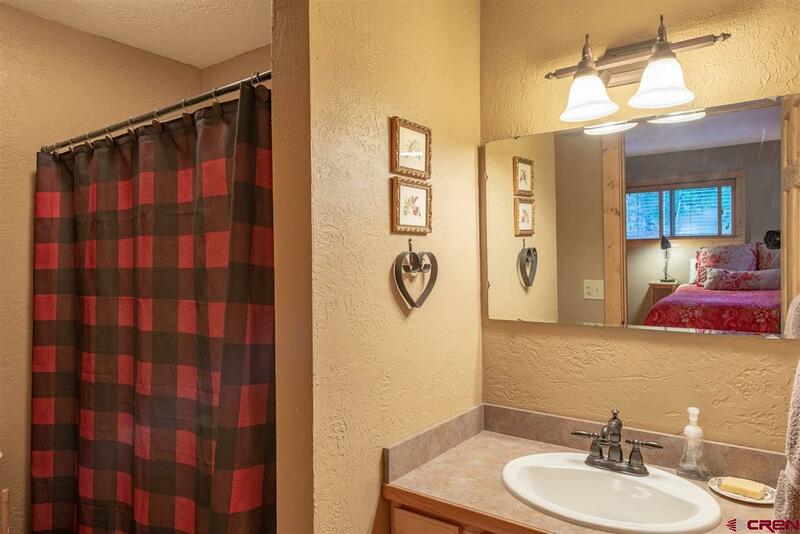 This cabin also includes a full size washer and dryer, which is rare in the neighborhood! 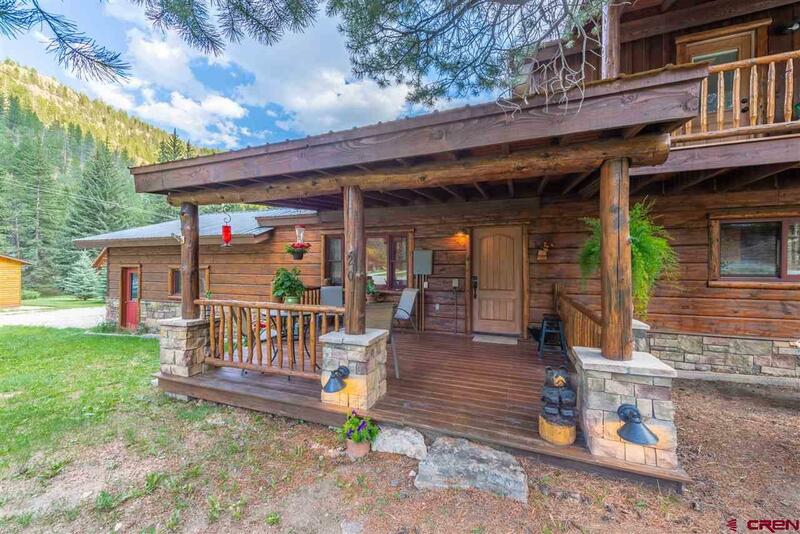 The Cabins on Spring Creek is a tight knit community offering wonderful fishing rights along Spring Creek, a large game room that is perfect for family events or gatherings and an outdoor BBQ area. 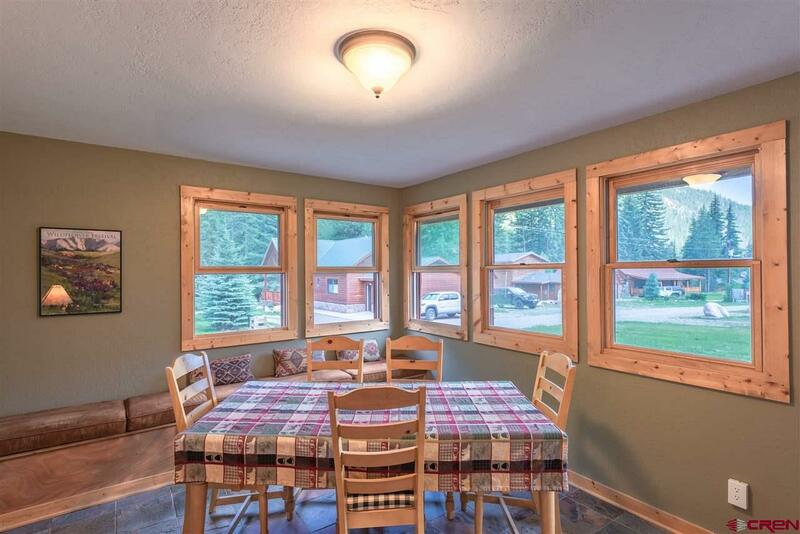 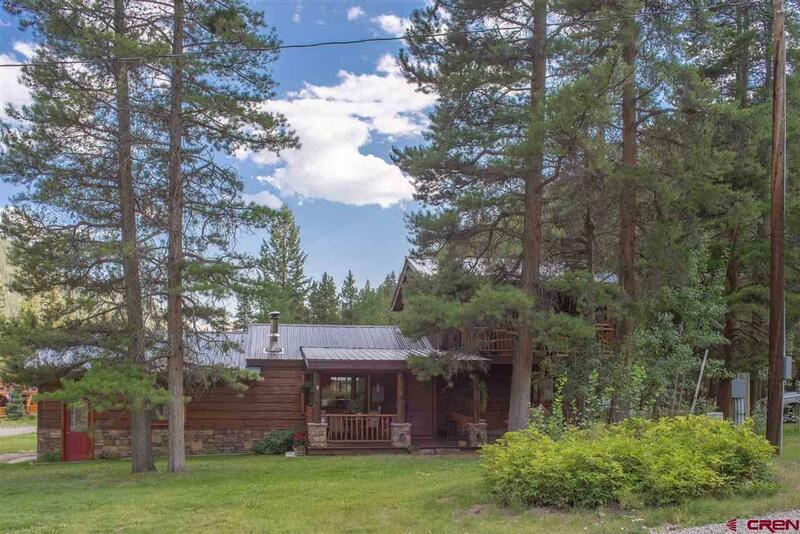 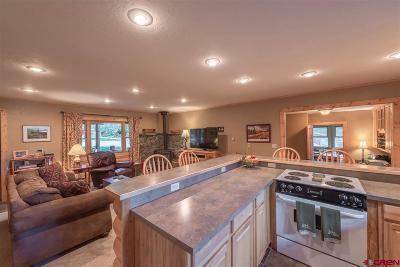 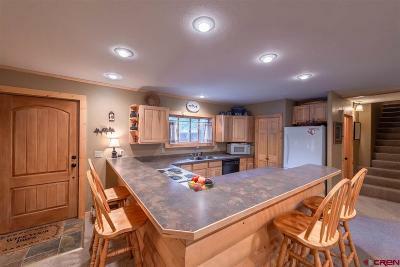 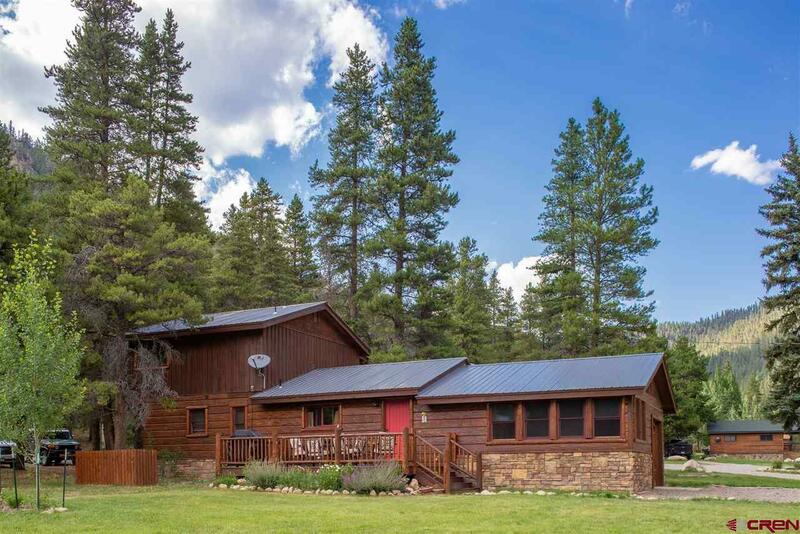 The home is situated only a short walk to the National Forest with access to hundreds of miles of places to explore. 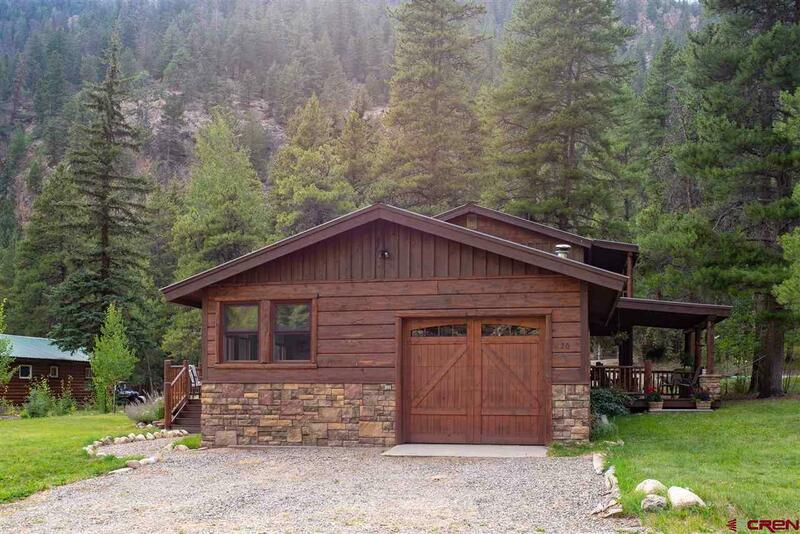 Bring your 4-wheelers, mountain bikes and all your toys to be stored in the attached garage. 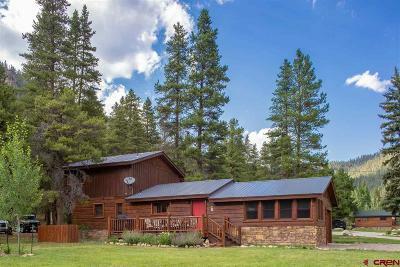 This is a really special property that you can not miss!